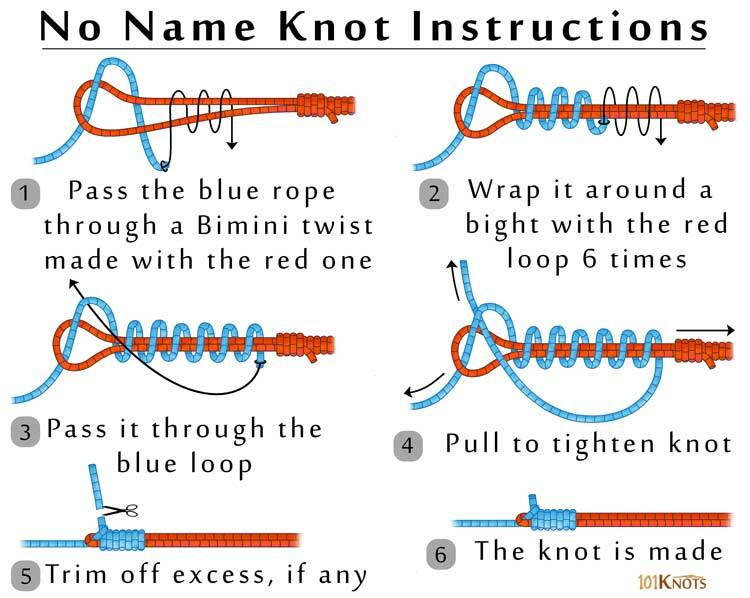 The no name knot, also known as the Bristol knot, involves tying the Bimini twist in 1 rope and wrapping another rope around the loop to join both. 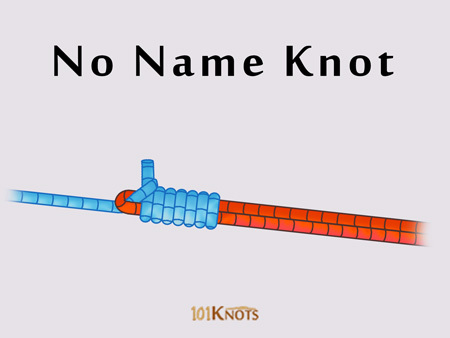 The low-profile knot can be used to join a heavier monofilament line to the double line of a spider hitch or any other similar loop knot as well. It passes through rod guides smoothly and can connect braided lines to monofilament. It is quick to tie, simple and fares better than the Albright special and the double uni in terms of strength. Your illustrations are much easier to follow then other sites. Thanks for your assistance.